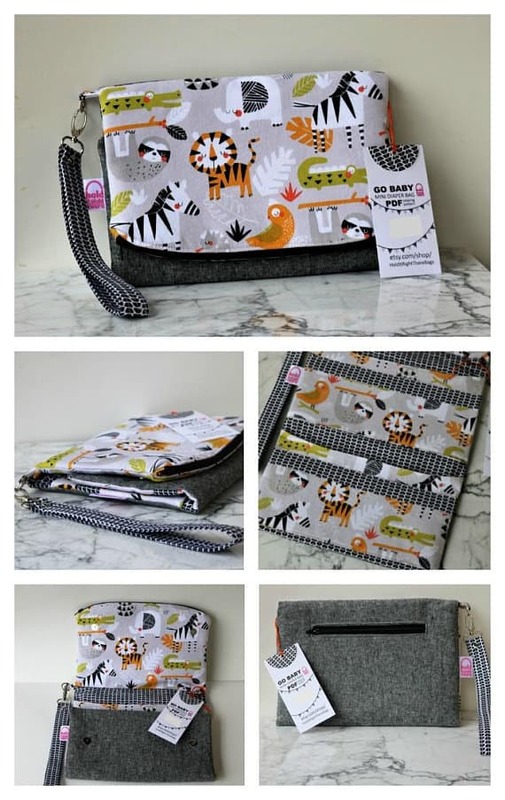 Make Your Own Diaper Clutch - So Much Cuter than a Ziplock! 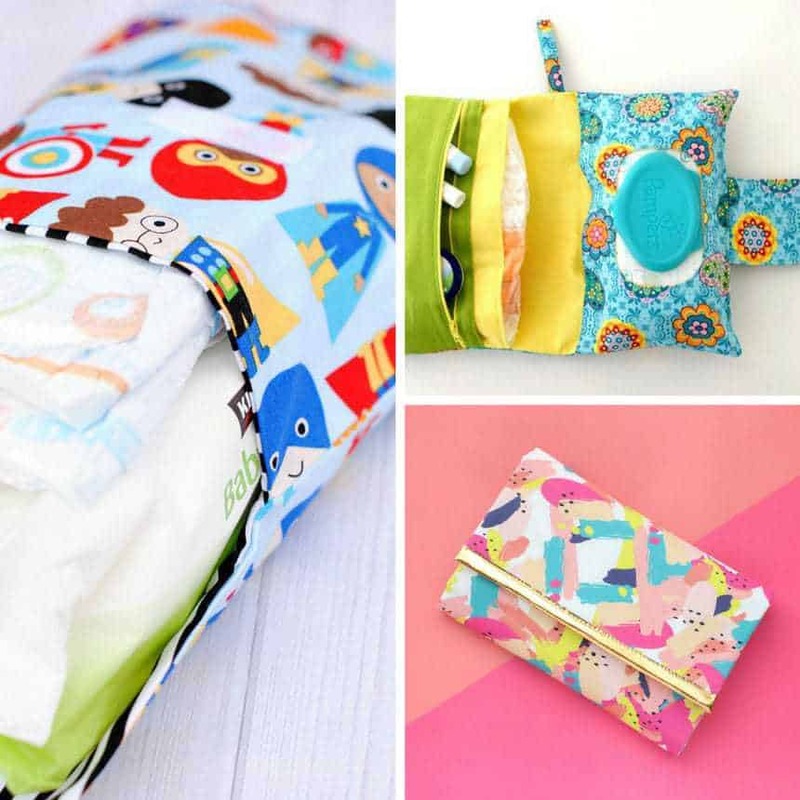 Home > DIY Projects > Make Your Own Diaper Clutch – So Much Cuter than a Ziplock! One of the things I quickly realised when we first started taking outings with our twins was that a diaper bag wasn’t quite good enough. When one of them needed a diaper change I didn’t really want to lug the whole bag into the bathroom and rummage around for the diapers and wipes. I resorted to filling a ziplock with the supplies we needed until I could come up with a better option! After some late night searching on Pinterest I discovered there was a solution to my problem… a diaper clutch! Or a nappy wallet, depending on which side of the ocean you reside! Diaper clutches are the solution to no longer having to rummage in your large diaper nag, just pop it inside where it’s in easy reach. They’re also great when you just want to pop out to the store and you don’t need the big bag of stuff! Oh and they’re also handy for leaving a supply of spare diapers in the car, because you never know when you might need them! Today I’m sharing the tutorials I used to make some diaper clutches, as well as a few I wish I’d seen back then as they’re super cute! Scroll through to see which one you like the best and then click through for the full tutorial. Whether you’re making a diaper clutch for yourself or as a baby shower gift they really are a must on your DIY baby projects list! I love Amber’s diaper clutch pattern because it is so easy to make and you only need two fat quarters so it doesn’t cost much to make either. It’s nice and roomy so there’s plenty of space for a pile of diapers and a full pack of wipes which is just what you need if you have twins, or are going to be out for the day. They’re also perfect for storing a backup stash of diapers in your car for the day you leave in a hurry and leave the diaper bag in the house! If you’re a beginner and need to see a visual as well as reading a tutorial watch this video which walks you through what you need to do. 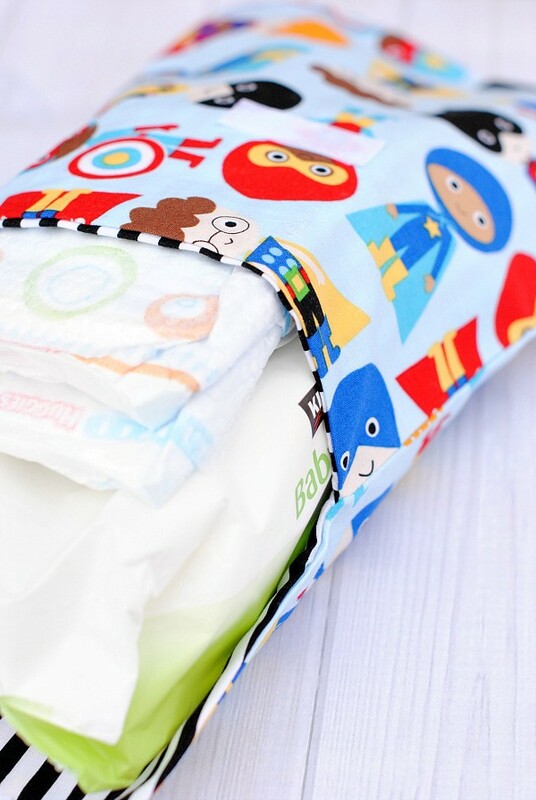 Envelope style diaper clutches are perfect when you’re actually changing a diaper, but they’re not quite so good when you just want quick access to the wipes. 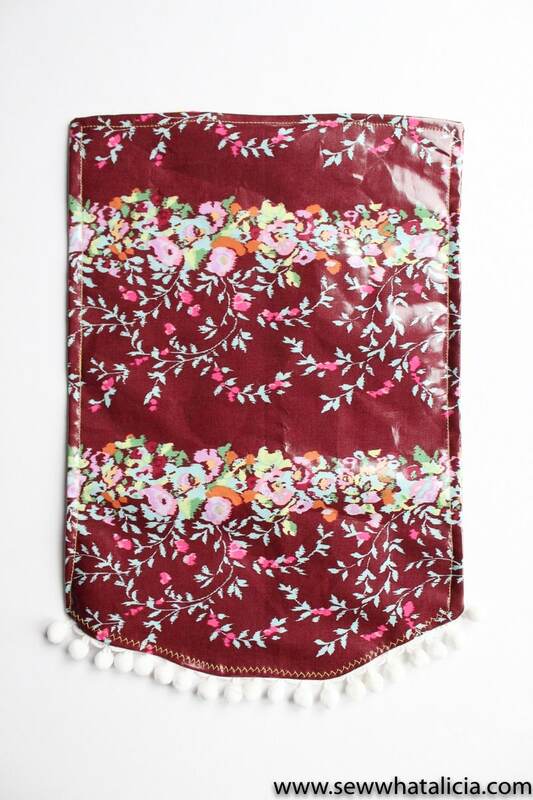 Whether it’s sticky fingers, spit up or worse when you need a wipe you need a wipe, which is why this design from Damjana is so clever, just undo the flap and you can get at your wipes quickly and easily! The little zipper pocket is really useful for storing a little tube of diaper rash ointment or a little toy. One of the things I don’t like about changing diapers when we’re out and about is you never know how clean those changing tables actually are. I made this all-in-one changing mat because I liked being able to carry a wipe-clean changing mat with me. I thought that the little pockets that hang down were really clever, but to be honest it forced me to carry two packets of wipes with me because I didn’t like having to unwrap the whole thing when I needed quick access to the wipes for sticky incidents! I much prefer this idea that Alicia had to make a changing mat out of oilcloth and then a clutch to house the mat, the diapers and the wipes. I love the addition of that pom pom trim too! If you make the mat a reasonable size it’s perfect for covering up changing tables, impromptu bottom changes in the back of the car and also somewhere to lie baby down if you’re out at the park or on the beach! 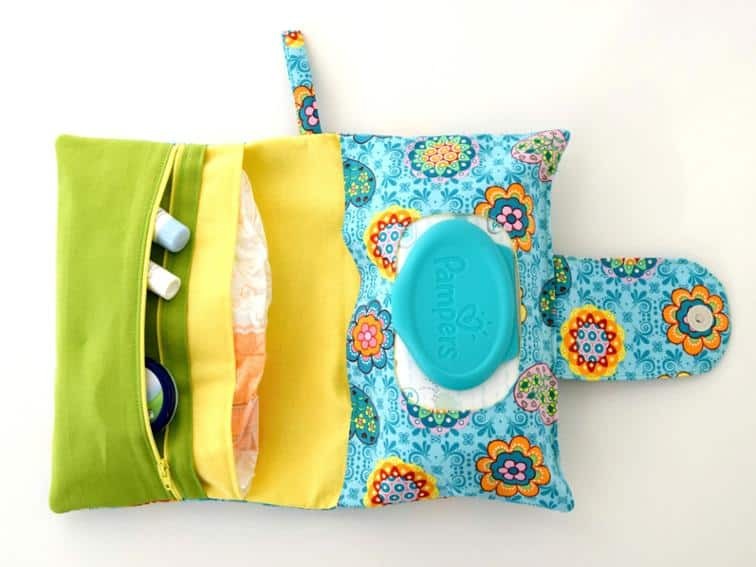 If you’re just heading out to the grocery store and you don’t want to carry the diaper bag or your purse then this diaper clutch organizer is a really clever idea. 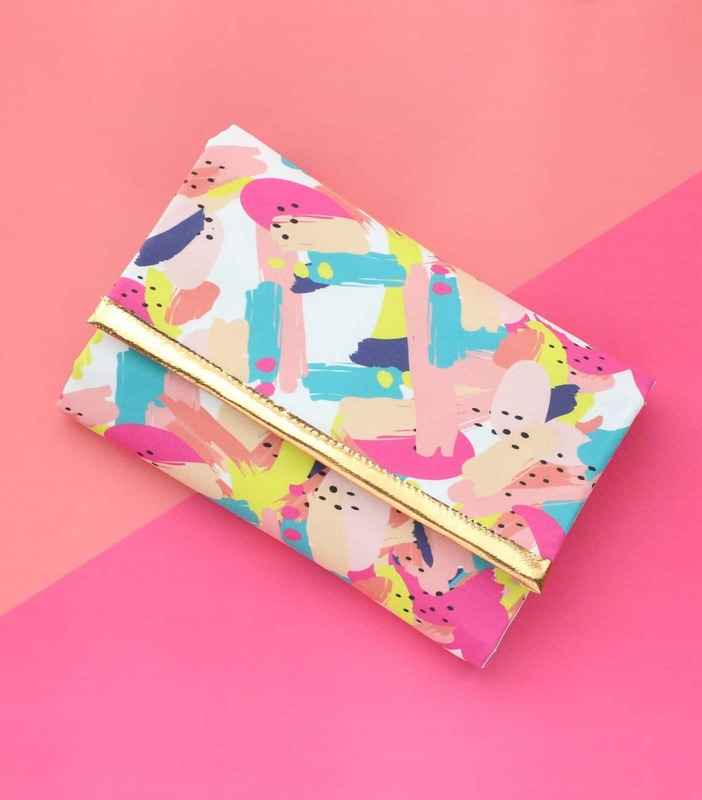 It’s bigger than the other clutches so there’s enough room to pop your phone, your cards and your keys too. 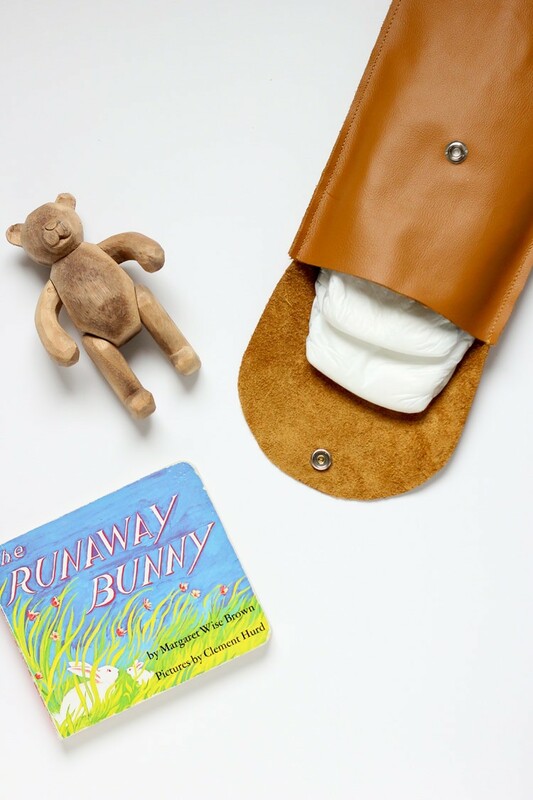 For something super stylish take a look at this gorgeous leather diaper clutch that Delia designed. I’ve never made anything with leather before but she has lots of photos to follow along with so it does look really simple. Ooh this one looks fabulous too! In fact I had to look twice to make sure it was a diaper clutch because it looks like a regular purse, especially with that gold trim! This is a really good tutorial to look at if you want to make a waterproof clutch and changing mat but can’t find a waterproof fabric that you love, because Kara will show you how you can use any fabric and an iron on vinyl! Previous PostPrevious 10 Out of This World Root Beer Float Desserts that Scream Summer!